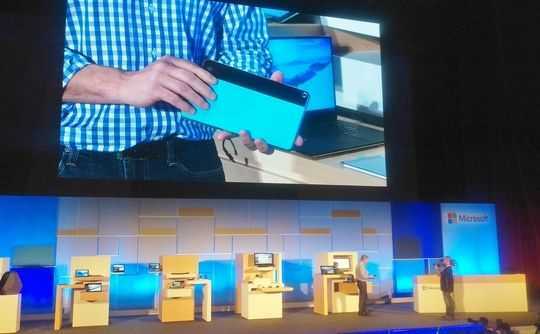 Microsoft very briefly highlighted a new 9-inch HP Windows 10 tablet at their Computex keynote today. The tablet was shown very briefly along with the new HP Pavilion 10 X2 but there’s not much information, or even images of it. HP call it ‘revolutionary’ in their blog, but that’s about all they’re saying.